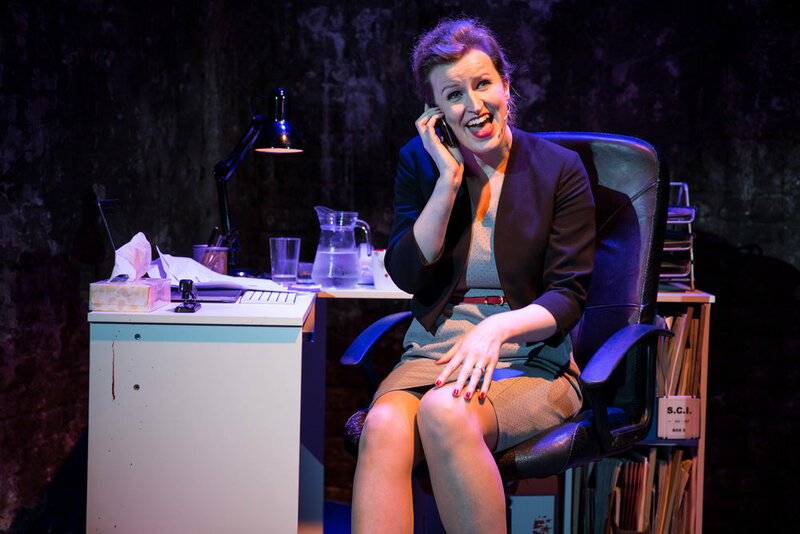 Brimming with twisted dark humour, LOCK AND KEY is a workplace thriller for audiences all too aware of the painful demands of modern career success – and the cost of being a woman determined to succeed. This dark new chamber musical by musical theatre duo Barlow and Smith entertainingly drops the Bluebeard story into a modern office environment – less Bloody Chamber, more Bloody Filing Cabinet. Director Adam Lenson does well to stage Lock And Key in such a small venue – the simplicity of the staging is helped along by some impactful lighting design by Richard Williamson. Ultimately it’s the music that stays with you after the show ends, demonstrating its true impact – a great effort by Barlow and Smith. Lock & Key is the brand-new musical from composer Bella Barlow and lyricist A.C. Smith who also wrote the book. It’s a brilliantly written, perfectly formed 60 minutes and the time just flies by.